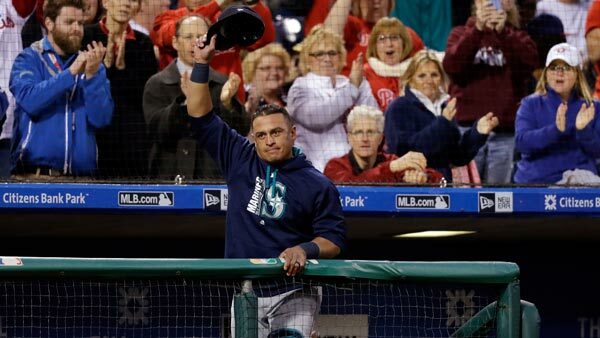 PHILADELPHIA (WPVI) -- Seattle Mariners catcher Carlos Ruiz made his return to Philadelphia Tuesday night. He was not in the Mariners' starting lineup, but Ruiz did get in the game in the eighth inning as a pinch-hitter. The fans at Citizens Bank Park made it clear Philly did not forget "Chooch." They gave him a standing ovation. Ruiz ended up flying out to center field. The Mariners ended up winning the game 10-9. Before the game, the former Phillies star spoke to reporters, and knew it would be an emotional night. Carlos Ruiz ready for emotional Philly return. Ducis Rodgers reports during Action News at 6 p.m. on May 9, 2017. "I know it will be special. It will definitely be hard for me. But I can't wait to see them. I can't wait to be on the field. And show everybody that love I have for the fans and for everybody," Ruiz said before the game. Ruiz played parts of 11 seasons with Philadelphia and caught the final out in the 2008 World Series. The 38-year-old Ruiz is expected to see more playing time now, since Seattle sent struggling catcher Mike Zunino to Triple-A Tacoma prior to its weekend series with Texas. 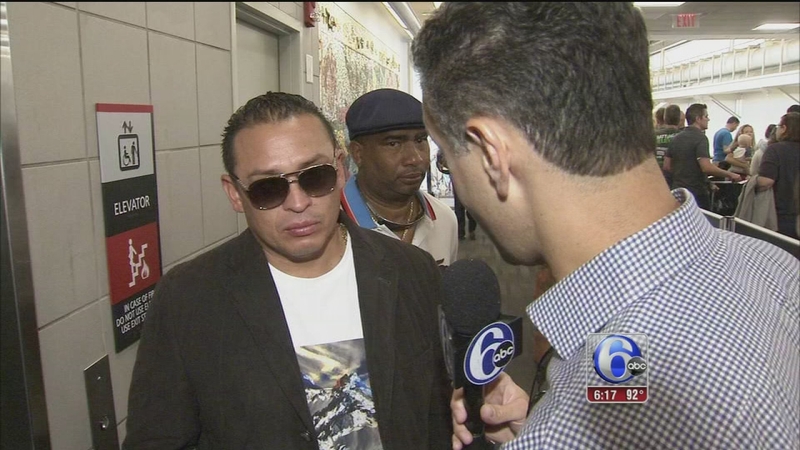 Action News reporter Jeff Skverksy caught up with him for an exclusive interview at Philadelphia International Airport Friday as Ruiz headed to Los Angeles. "I have a lot of memories from there," Ruiz told MLB.com about Philadelphia. "I remember my first day when I got called up. I remember winning the World Series. That's the whole goal. Catching on all those teams, I had a great time, and I can't wait to go back and see all my old friends and teammates. It'll be special."